In some of the earliest important migrations that took place, it is likely that humans used the Sinai route to exit Africa and arrive in Asia, making the region now known as Saudi Arabia quite crucial to understanding these routes, according to new research. Humans footprints dated to roughly 85,000 years ago have been found in the northwest part of Saudi Arabia, providing fresh evidence on how humans migrated outside the African plateau. The newly collected archaeological clues strengthen the belief that the Arabian Peninsula may have played a key role in facilitating the first migrations from Africa. According to archaeologists who are working in the field in the country, plus already available evidence obtained from the region, these early major migrations may have unfolded much earlier than previously believed. Earlier research suggests that mass migrations to other continents from Africa happened some 60,000 years ago. With the evidence mounting, including the recent footprint finds, paleo-anthropologists might consider pushing back the timeline. Likewise, there may need to be changes in the estimate of when the first humans appeared in Africa, which is traditionally said to be around 200,000 years ago. Just in 2017, a human fossil unearthed in Morocco was, to widespread surprise, found to be 100,000 years older than fossils found in Ethiopia, a find that by itself challenges the human evolution narrative regarding when and where the first humans appeared. 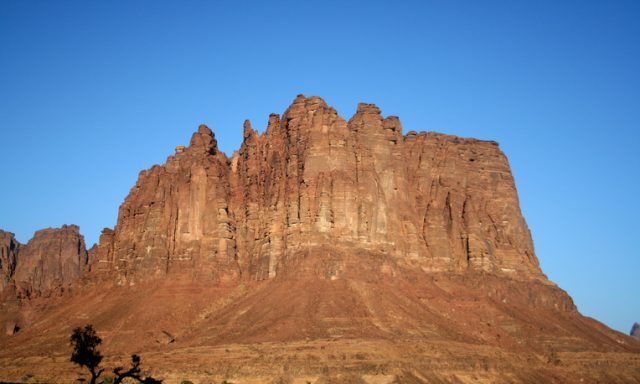 Regarding the newly found footprints, they were identified close to the city of Tabuk, the capital of the Tabuk Region in the northwest of the Middle East country. Though it is a desert region today, back in the time of the early migrants who left their traces, the place would have thrived with vegetation and wildlife. The news on the findings was shared in a press release on May 14, 2018, by the Saudi’s Ministry of Culture and Information. The foot traces were found in various directions, all associated with the site of an ancient freshwater lake. The prehistoric humans could have used the lake as a potential food resource, catching fish. 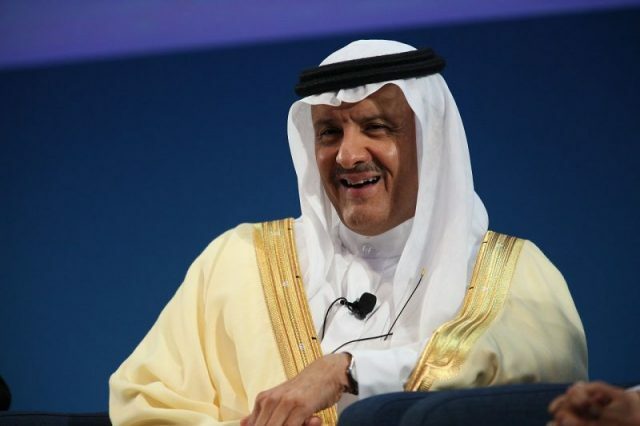 As the National Geographic writes, it was Prince Sultan bin Salman, who presides over the Saudi Commission for Tourism and National Heritage, who announced the news while visiting the National Museum of Tokyo; the institution was hosting an exhibition of ancient artifacts belonging to Saudi Arabia. Prince Salman commented, “This is a wonderful and very rare discovery that shows man’s arrival in the Arabian Peninsula from Africa alongside other human migrations,” according to Gulf News. He suggested that the footprints might be as old as 85,000 years. According to archaeologists, further analysis is still needed, and plans are due for producing a scientific paper in the upcoming period, reports National Geographic. Saudi Arabia might be indeed the next hotbed of archaeological excavations. The country has only recently opened its doors to scientists and researchers from abroad, inviting top-notch institutions to investigate ancient sites which can provide knowledge on key subjects such as the earliest human migrations. The latest footprint find was due to an effort carried out by a group of researchers, both from institutions based in Saudi Arabia and from internationals such as Germany’s Max Planck Foundation for Human History, the U.K.’s Cambridge University and Oxford University, and Australia’s University of New South Wales as well as Australia National. While hundreds of sites have been inspected thus far, many of which former lakebeds, many more sites of interest are on the list yet. Some of the relics include ancient remnants of stone tools, and others are the recently found fossilized remain of a human finger estimated to be 90,000 years of age. The finger and the footprint discoveries seem to be of the same period. The first was found not too far away from the latter, just roughly 90 miles away in Tabuk’s province of Tayma. The entire region is noted for already having revealed evidence of two ancient Arabian kingdoms, the Lihyan and Nabataean. Another interesting discovery in the region is a recently identified fossil jawbone collected from Israel and dated to about 180,000 years ago. This is a remnant of the oldest known human outside the boundaries of Africa, according to National Geographic. 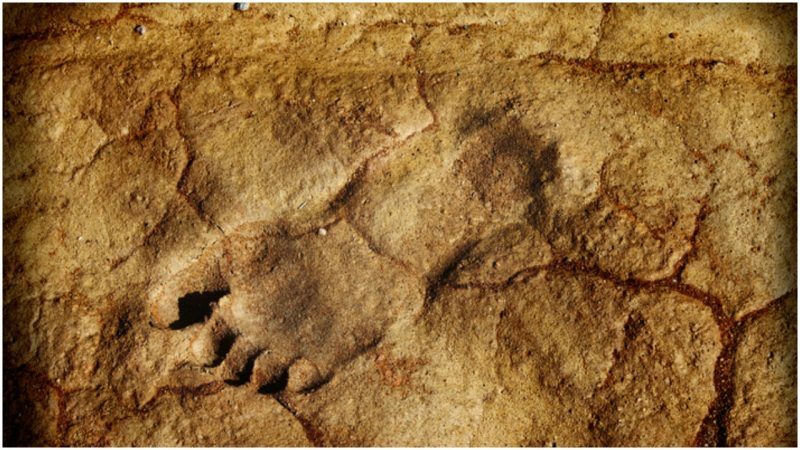 Concerning news of footprints that have already stirred up the scientific community this year, in March, researchers announced news of the earliest known human footprints on the North American plateau. They were hidden on a beach on Calvert Island, in the province of British Columbia, and the research supported claims that the earliest people to arrive on the territory that is North America would of have to do that via a route from Asia then free of ice. The footprints in Canada were dated to 13,000 years ago.